Join us for our first-ever member appreciation night at the Chinatown Night Market on Friday, August 9, 6:30-11pm. We'll be taking over the parking lot just west of the Keefer (near Keefer and Columbia), transforming it into a comfortable shared space for enjoying the market, the programmed music, each other and some fun activities for young and old alike. Our friends at the In The House Festival are helping us bring a sense of whimsy to the night, with opportunities to learn and share about Modo's history, celebrate our continued success and collectively dream about the future of our organization and the community it supports. > View photos from previous Modo events on Flickr! 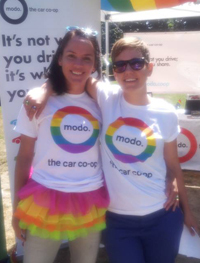 As part of our commitment to nurturing strong, vibrant, healthy, inclusive communities, Modo is proud to participate in the 2013 annual Vancouver Pride festivities with a float in the parade on August 4! Holler a hearty "MODO! MODO!" when you see our gang of happy members on Sunday and be rewarded with Hi5s! In you're keen to join other enthusiastic members and allies in Modo'zenting in the parade, we have a few spots left! Everyone is welcome! We'll even give you a special collectors' edition Modo rainbow t-shirt (while supplies last)! Email tommy@modo.coop for more info. Think we need more trucks? A wheelchair accessible van? How about a couple more convertibles? As Modo grows, it's important we stay relevant to the needs of our diverse member base. Thank you in advance for taking a moment to answer several short questions regarding our current fleet and potential future offerings. CLICK: Take me to the survey! 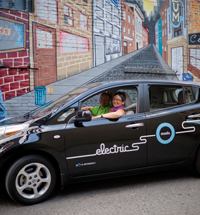 To dispel the mystery of how to operate Modo's two fully electric Nissan LEAFs, Modo member Mona took Vehicle #408 for a spin, offering this review and how-to for unplugging, powering up and cruising with the windows down. Apply by August 7 to take advantage of Modo's 15% off discount on annual passes, billed monthly, until the program expires. Read the announcement of the change, find answers to some of your questions and get signed up for the remainder of the year. 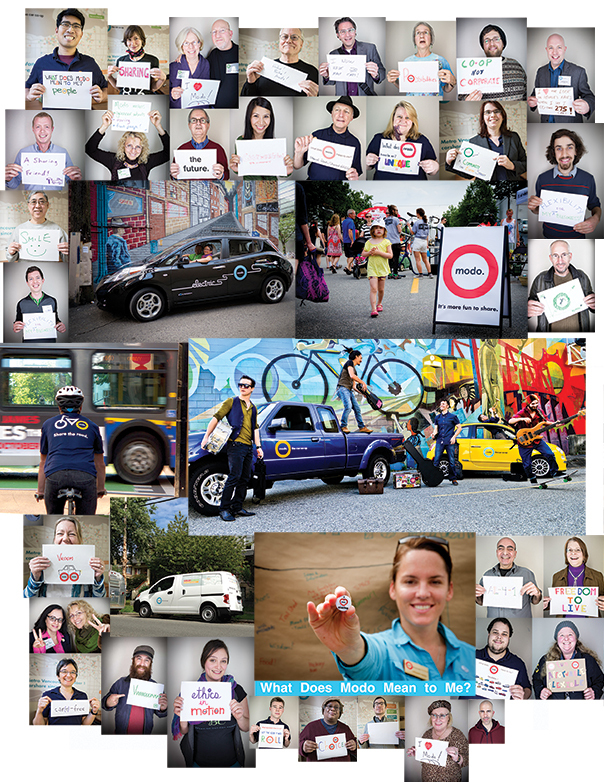 Cargo Van Contest Winner Announced! With the length of Granville shut down all downtown, VIVA Vancouver presents a flurry of activities for all ages to enjoy. Shop at the Portobello Market on the 800 block both days from 11–6pm, with artwork, jewellery, fashion, accessories and more from Canadian and Pacific Northwest designers, artists and producers. Try Hula Hooping on Saturday on the 600 block, Swing Dancing on Sunday on the 700 block, the Brazilian martial art AXE Capoeira on Monday on the 700 block, and lots more! Details on the City of Vancouver events calendar and on VIVA Vancouver's Facebook page. *** Walk with us in the parade and get a nifty collectors' edition rainbow Modo t-shirt! Email events coordinator Tommy Laflamme! Want to compost, but don't have a backyard? Try worm composting. Upcoming workshops through City Farmer and the City of Vancouver are August 8 and 10. Phone 604-736-2250 to register. The 24-hr Drawing Party is a free collaborative neighbourhood drawing event, where community members are invited to draw, paint, doodle, share ideas and meet other community members. It is open to all, including Chinatown residents, seniors, young families and members of the general public. Held at Project Space (222 East Georgia Street), the drawing party starts at noon Saturday, August 10 and ends at noon on Sunday. Details at http://awesomedrawingparty.tumblr.com or awesomedrawingparty@gmail.com. A 2010 silver Toyota Matrix (#364) has replaced the 2004 Toyota Sienna. As this change removes a minivan from the West End, we're currently negotiating a new parking stall, west of Denman, for another minivan to live. Our 2013 red Fiat 500c convertible (#466) is temporarily at Modo Office Parkade. It will be moving to Wall Centre False Creek on August 6. Our 2010 blue Toyota Yaris hatch (#264) is temporarily at Woodward's until August 8. Find a 2009 grey Toyota Matrix (#266) in the 4700 block of Dunbar Street, between West 31st and West 32nd Avenues. Park in front of Dunbar Community Centre on the west side of the street. As of August 2, our 2013 red Scion FR-S (#467) will have a permanent home at 130 West 1st Avenue, between Columbia Street and Manitoba Street, in the underground parking. Enter from the alley between 1st and 2nd Avenues, and look for the Modo stall. On August 6, the Scion will be joined by a 2013 red Fiat 500c convertible (#466). 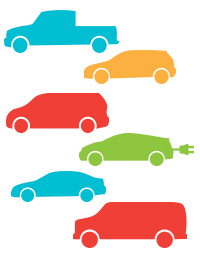 Our 2010 red Toyota Prius (#285) is temporarily at Main Street SkyTrain until at least August 12. It will move to a new location in Mount Pleasant once our permanent stall is ready. Our 2013 red Scion FR-S (#467) is temporarily at Main Street SkyTrain. It will move to Wall Centre False Creek on August 2. A 2013 silver Nissan Frontier (#470) has replaced the 2007 Mazda B3000.